This is the most “powerful” fundraising initiative we’ve ever launched. We don’t need your money – we just need your power! If just 200 members or supporters join we could raise $16,000 to $24,000 a year, each and every year towards the fairway watering project, thats between $80,000 and $120,000 over the next 5 years, almost one third of our target. When you buy your electricity from Community Power, you get to donate a share of the profits they make from your bill, to the Waipu Golf Club. You won’t pay a cent more than what you pay for power today (you may even pay less!). “I had received a price increase, Community Power were able to switch me on my old rates savings me $218 a year and I get to donate $86 a year to this project”. Margaret Pennington, Treasurer. “I have joined. I don’t use a lot of electricity but I still get to save $31 a year and my donation is $40 a year, and we have switched the clubs electricity account to Community Power on a lower rate savings us $115 a year and we get a donation back from our own bill of $300 a year”. Mike Van Blommestein, Chairman. So if it wont cost you a cent will you join us? Still unsure? Request a quote then to see how much your donation will be and if you can save some money as well. Your donation comes from Community Powers profits not your pocket, so why wouldn’t you? Buy your electricity from us, pay the same you pay now (or less), we then share our profits with you so you can give to the Waipu golf club fairway watering project and and it won’t cost you a cent! The way you receive and use your electricity supply doesn’t change, only now you will be creating funding for the Waipu Golf Club whenever you use electricity in your home or business. Yes we can create funding from business accounts as well. If you receive a dividend from the Northpower Electric Power Trust, or any other Network company, you will continue to receive this dividend. 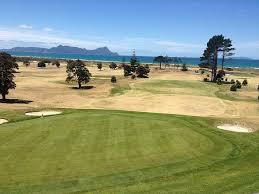 Click on Join Now to complete the application form using the Waipu Golf Club donation number of 0000128 we do all the rest. 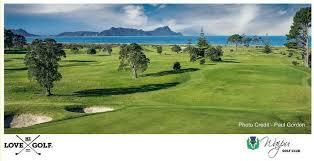 Power of Together – Community Power, Waipu Golf Club, and you. Why wouldn’t you? Join now. Community Power is a Social Enterprise Company, our aim is to improve the lives of real people in our communities.